The french ONG Little World Népal will send 16 volunteer toward 4 schools spread all over Népal a country that suffer a terrible earthquake last April. 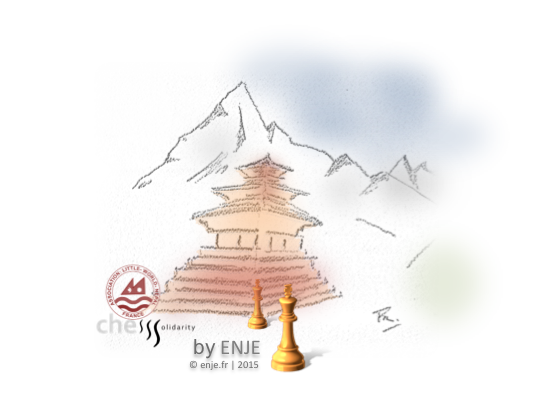 ChessSolidarity is pleased to support the initiative with chess sets and a small cash donation. if you like to join us, we are collecting funds for Little World Népal until 30th september. See Echecsinfos news.